Coconut water is water that comes from a green, young coconut (not the aged, brown, fuzzy kind you find in the grocery store). And it’s fat free, unlike it’s aged sisters, whose water has hardened to a sweet meat that is high in fat. Did you know that as little as 11 fluid ounces of coconut water contains more potassium than a banana? And the same size serving of coconut water contains more than 15 times the potassium found in the average sports drink! 1. It contains the five essential electrolytes: potassium, magnesium, phosphorus, sodium, and calcium. 4. It cleanses the kidneys and eases stomach aches. 8. It boosts circulation by carrying oxygen and nutrients to cells. 9. It promotes heart health, weight loss and mental acuity. What’s out there and where to buy it. With it’s increasing popularity, you’ve probably seen people enjoying the beverage at the office, on the train, or at your yoga studio. 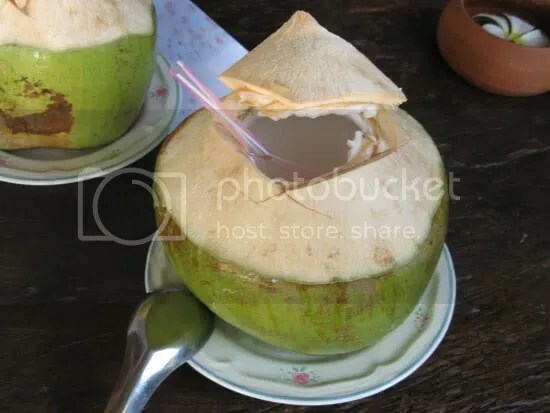 Many health food stores have juice bars where the juicer will crack open a fresh young coconut for you right before your eyes. Just grab a straw and you’re ready to go! Neighborhood natural markets and Whole Foods also stock the two major prepackaged brands, Zico and Vita Coco (which are slightly more convenient and taste just as fresh). If you live in a large city, it’s likely that your corner deli or grocery carries the tasty, good-for-you treat as well. 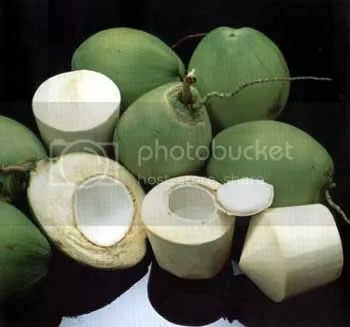 Many ethnic markets also carry young coconuts that you can bring home and pop open with a hatchet. When we think of Acid Reflux we don’t usually think of children.Funny thing is most all kids have it when they are born. Babies “spit up” all the time. That is a form of reflux. Thankfully, when they are a little older that tends to go away, but not for every child. If you think your child may have GER, please contact your child’s doctor. It is also very important to let your doctor know if your child develops new symptoms or if the symptoms change. There are many medications on the market to ease symptoms of GERD, however most of these are made for adults. You should always discuss any medication with your physician before administering to a child. There are also several different Natural remedies that are suitable for children. Apple cider vinegar (usually diluted some), or eating an apple ..is one choice. Some say a glass of milk will help to soothe the esophagus. I personally tried Natural Aloe for my son who is 20 and had good success. His daughter also has reflux issues & is now taking Aloe Cure as well. She does not care for the taste of it..(she’s 5) but when mixed with grape juice she did not even notice that. I would recommend that for anyone with reflux issues, however..I do still suggest speaking with your physician before trying any new medications or treatments.